Three of the world's major rivers — the Indus, the Ganges and the Brahmaputra — arise in the Himalayas. Their combined drainage basin is home to 600 million people, and the rivers have a major religious significance to Hindus all over the world. 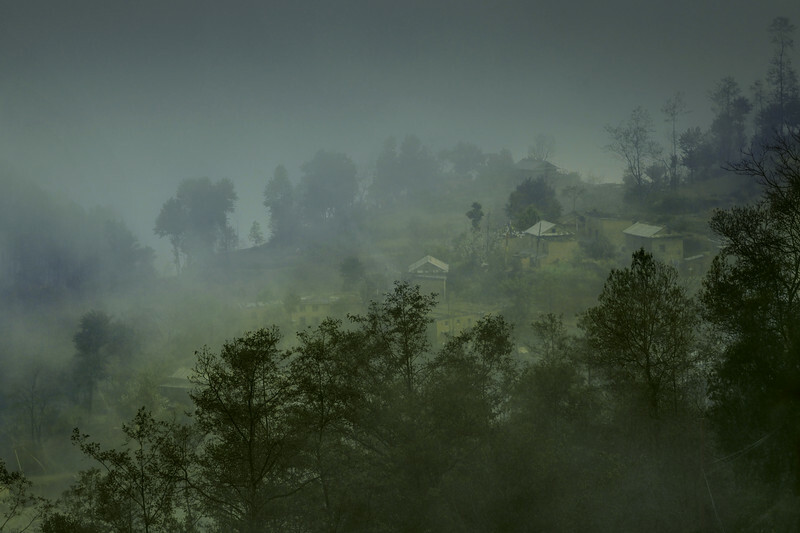 Within seconds the dense Himalayan fog in Nepal appears in spring and transcends the scenery and the villages into the magical and mystical world of fairy tales and lucid dreaming. Shutting away the glorious view of the Himalayan mountains, one is left only with the details of the what is close and visible and unable to predict who or what is going to appear only a short distance away. Meanwhile the sounds of birds and distant voices still remain although they are hidden behind the fog. As sudden as it appeared, the fog disappears and one is transcended once again into the real world. The series was shot in Nepal two weeks prior to the large earth quake in 2015.